We appreciate your donations of any amount! Please remember: We are a 501(c)(3) nonprofit charitable organization, so your donations are tax-deductible to the full extent of the law. There are many ways to donate to Ahimsa House. Find the method that’s right for you. Ahimsa House relies heavily on our donors to provide care for the pets in our program. We serve the entire state of Georgia. It costs us approximately $400 per month to provide shelter and veterinary care for one family’s pets. Donations from compassionate people help us continue our lifesaving work. If you would like to make a direct donation, here are several options you may use. To donate online, click here to donate through GiveDirect. We understand that not everyone has time or money to contribute. In partnership with other organizations, Ahimsa House has established many unique ways for individuals to support the work we do, check them out here.. Please invite your coworkers to do the same if they don’t have a favorite charity. The Combined Federal Campaign is the world’s largest and most successful annual workplace charity campaign, with more than 300 CFC campaigns throughout the country and internationally to help to raise millions of dollars each year. Pledges made by Federal civilian, postal and military donors during the campaign season (September 1st to December 15th) support eligible non-profit organizations that provide health and human service benefits throughout the world. To designate your workplace CFC tax-deductible donation to Ahimsa House, use the Ahimsa House CFC number 38599 on your donation card. We are also part of Georgia’s State Charitable Contributions Program (campaign code #197067) and the City of Atlanta employee giving campaign. Many companies have programs through which they will match the charitable contributions made by their employees, making your gift go further. Check with your (or your spouse’s) company’s Human Resources office to see if they offer a gift matching program. (If they don’t, you may want to ask your company to start one.) If your employer does offer this program, your Human Resources department should provide you with a matching gift form to send to Ahimsa House along with your donation. You may also send in the form after you have made the donation. We will verify receipt of your gift and return the form to your company for matching funds. The company verifies eligibility of the employee and sends a check to Ahimsa House. Second Life has two upscale thrift stores in Atlanta that were created with the mission of giving homeless pets a second chance at life. They provide cash grants to more than 40 animal charities and spay/neuter programs..including Ahimsa House! When you donate to Second Life, you help them to be able to provide much-needed cash grants to organizations like ours! Or call us at 404-496-4038 to arrange a drop off at our Decatur office, or to see if we have a volunteer near you who could pick up. Sara Wiles is a health coach and volunteer with Ahimsa House. It is her mission to help others make their health and happiness a priority through customized health coaching to include nutrition, exercise and mindset. Sara works with her clients’ unique lives to create realistic and lasting plans for change. Whether you’re looking to lose weight, get toned or just feel better in your own body Sara can get a plan set up for you.  Sara gives a portion of all profits back to Ahimsa House. She truly believes in the amazing work that we do, and is doing her part to make sure we continue serving the human and animal victims of domestic violence. WoofTrax is a new, free app that helps “to provide an incentive for dogs and their humans to bond through exercise while simultaneously harnessing that energy for a social good.” For every mile you walk and log, Ahimsa House will receive a donation. You download the app onto your phone, open it, register your info and then choose Ahimsa House as your charity. After that, every time you go for a walk, be sure to track it on WoofTrax! Even our friends with older dogs who don’t enjoy lots of exercise, or who don’t own dogs at all can still participate! You can log in and choose to walk with “Cassie,” which will count as your pet. Wag! makes dog ownership easier by connecting dog owners with dog lovers in their community they can hire on-demand for dog walking, dog sitting, or dog boarding services 7-days a week. Wag! is like having a trusted dog-loving neighbor or friend at your beck and call. Each time you use Wag! Ahimsa House will receive a portion of the proceeds! Claim your first free walk now. It’s simple. You use it like any other search engine but each time you do, money is generated for Ahimsa House. Last year, search engines generated close to $6 billion in revenue from advertisers. With iSearchGive part of this advertising revenue will now be directed to Ahimsa House. We hope that not only will you use iSearchiGive.com as your main search engine from here on out, but that you will also pass this message on to your friends and family. The more people who use this, the more money will go to Ahimsa House. Click here to start searching! The next time you are traveling with your dog and in need of pet friendly travel accommodations, check out BringFido.com! Each time you book a pet friendly hotel room using the gift code “AHIMSAHOUSE2018” at checkout, a $10 donation will be made to Ahimsa House! Benjamin Rieger in memory and honor of Merissa Cope and Molly Misdemeanor Cope, two beautiful souls!